Hi! 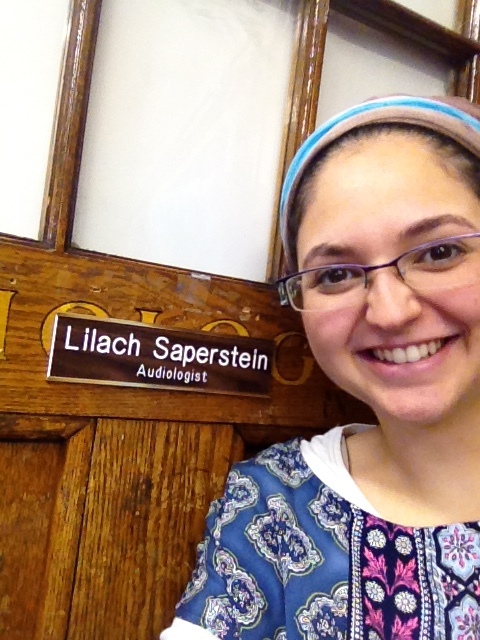 My name is Lilach Saperstein, Au.D. and I’m passionate about explaining and sharing information with my patients, students, parents and YOU in order to empower you to make the best decision for yourself or your loved one, be it your child, parent, sibling or friend. Navigating the healthcare system in general, and audiology, in particular, can be very challenging and overwhelming. Having complicated words, abbreviations and jargon doesn’t make it any easier. It is my hope that through this blog, you’ll have more of the tools and language you need to understand the field of audiology and how it relates to you. Effective communication is an inherent part of what makes us humans, with the ability to connect to one another. There are many different modes of communicating, using our different senses, including speaking and listening, signing and looking, reading and writing, and communicating through our facial expressions and body language. Audiologists primarily focus on the auditory-oral communication mode, that is, using our ears and auditory system (the many part-system from eardrum to cochlea, nerve to brainstem, and auditory cortex in the brain) to detect and understand spoken language or speech. Audiologists are uniquely trained to guide you through possible challenges that arise with communication difficulties associated with hearing loss, in addition to many other areas, such as balance disorders. I believe that “knowledge is power;” I love to teach because I love to learn. Complexity is inherent to every part of our lives. I work with children and adults with hearing loss and each is a unique individual that requires individual care. The most important thing I can do is to listen to what you have to say, what your communication needs are, what your goals are. For some, an appropriately-fit hearing aid is the tool that will help them have more awareness and access to the sounds around them. For others, it is information and support in their decision whether or not to implant their child with a cochlear implant, and what mode of communication to introduce. I sincerely wish you and your loved ones success in your journey and am always here with a listening ear, for support with any questions you may have.